Drag down chain slightly. Pick up hook and attach it. 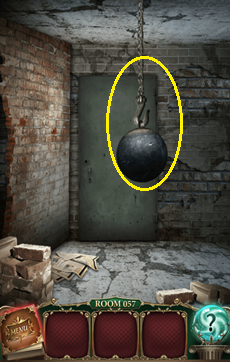 Pick up wrecking ball and attach to hook and chain. Slowly drag wrecking ball to the right and let go so it hits the wall. 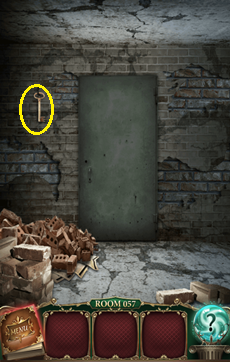 Take the key.